Understanding the difference between boat towing and salvage is key to minimizing out-of-pocket expenses in an emergency situation. 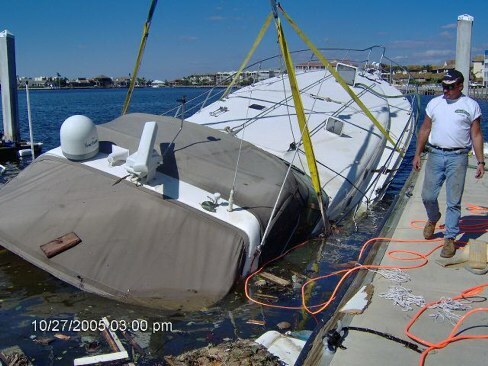 Mariners need to know what constitutes high or low risk when involved in situations on the water, and when to use a commercial towing service versus a salvage company. The key is also to know whether to approach a boat insurance company versus a membership marine towing organization when it comes time for payment since these two entities cover different kinds of assistance and reimbursement. Peril is the term used to describe the amount of risk to either the disabled boat or to the rescuer. Low risk or low order of peril services performed by marine towers may involve mechanical breakdown, towing to a safe port, fuel deliveries, jump starts, line disentanglements, de-anchoring and soft ungroundings. Marine towers specialize in these services and typically charge from $200 to $250 per hour, and possibly an additional per-foot charge for soft ungroundings. One way to avoid these high hourly costs is to join a marine assistance membership organization, such as MARINE ASSIST. For cases involving high peril, or where there is a higher degree of risk, services will be performed by a salvor at a higher cost than a tower. These situations include hard groundings; sinkings; collisions; break-aways from moorings, buoys or docks; fires aboard and vessels that are in close proximity to a fire source as well as vessels which are stranded in the surf line. Another situation which may sometimes be considered high peril is poor weather conditions. Awards for high order services may be either discretionary - a percentage of the value of the saved boat is awarded - or objective - an hourly or per foot charge is assessed with additional charges for severe weather or perilous conditions. Boat owners should be aware that not all insurance companies covering boats will cover salvage services. A marine policy will usually provide salvage coverage equal to the hull value of the boat. However, lesser, no-frills policies sold by well-known auto and boat insurers may only contain provisions for minor wreck removal in the policy. The size of the boat and its location will dictate which policy is best. Boaters often believe that low risk towing and assistance is covered in their insurance policies. Typically, insurance policies severely limit the amount of reimbursement they will provide for towing assistance. Therefore, membership in a marine towing association is a good idea to limit out of pocket costs in low risk situations. The laws of marine salvage apply to every vessel upon navigable waters. From a canoe to an ocean liner on open waters, vessels can be subject to claims for salvage rewards. However, if possible, boaters should consult with their insurance company before allowing salvage to take place. Insurers may recommend contractors in the area or make other useful suggestions. If the situation is high risk and poses immediate danger to the environment or to property, accepting the services of a salvor is often the only choice, but the boater need not accept the services of the first salvor on the scene. In high risk circumstances, a salvor's services should not be refused, but the boat owner must be prepared to receive a substantial bill for a salvage award. If an award is in dispute, arbitration is often the preferred settlement process. In order for a salvor to claim a reward, he must prove that marine peril from tides, waves, winds, land, reefs, fire, etc. was imminent. It also has to be stated if the services were voluntary, with no pre-existing agreement to render salvage, and also if there was a successful operation to save persons, property or the environment. The salvor can then submit a salvage award claim to the owner or to the insurance company of the salved vessel. A subsequent written contract between the salvor and boat owner indicates the owner agrees that the services provided were for salvage as opposed to for towing, and that arbitration is the means to settle the claim. If not settled upon demand, the salvor is entitled to place a lien on the vessel in the amount of the claim. Towing and low risk situations are many times more prevalent on the water than is the actual need for salvage. It is easy to run down the batteries after a night at anchor with the stereo and lights going. It is also easy to run out of fuel or to have an engine malfunction. Membership in a towing service will avoid unpleasant costs when something goes wrong on the water. Many towing companies, such as MARINE ASSIST ASSOCIATION towing providers, are also qualified salvors. If safety is an issue, always call the Coast Guard on Ch. 16. If salvage or towing service is necessary, contact the insurance company or your towing company. Boaters should take the time to understand their insurance coverage and arrange to join a towing service well before the boating season even begins.